My kiddos are headed back to school next week and this momma is NOT ready!! I feel like our summer has flown by us and we haven’t really had time to just hang out and relax. C’est la vie, I guess. 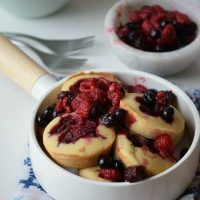 So since they are going back to school, I’ve started thinking about our annual “back-to-school” breakfast and these berry pancake poppers are at the top of my list. 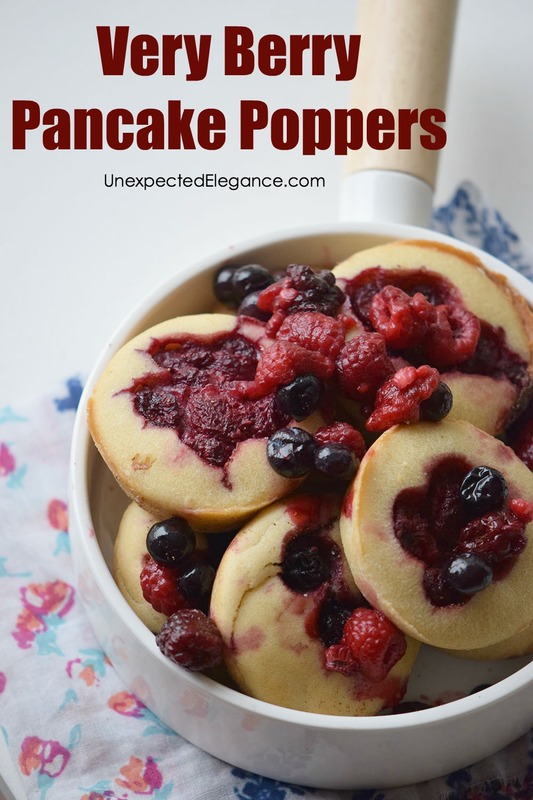 They are a quick and easy meal on the go or perfect for a fancy brunch. Not to mention they look pretty! Place all ingredients in a bowl and mix with the help of mixer for 2 – 3 minutes until no lumps are left in the batter. Pour the batter into the muffin pan. 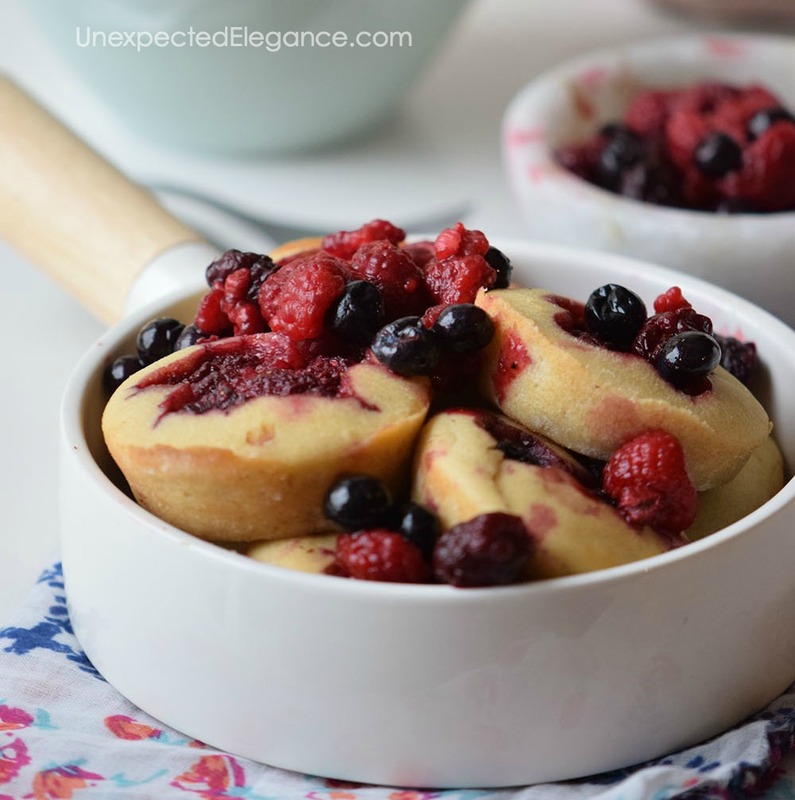 Top with berries and take to the oven. 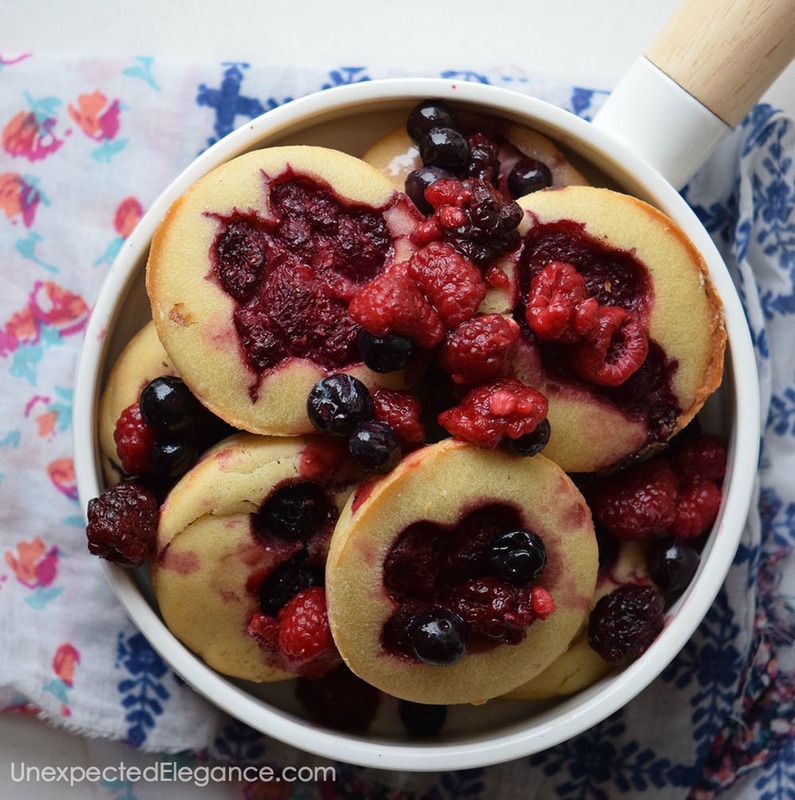 Tips: Serve with some fresh fruits and whipped cream for the ultimate Sunday breakfast. Since the recipe is so easy is great to cook with the little ones. Place all ingredients in a bowl and mix with the help of mixer for 2 - 3 minutes until no lumps are left in the batter. 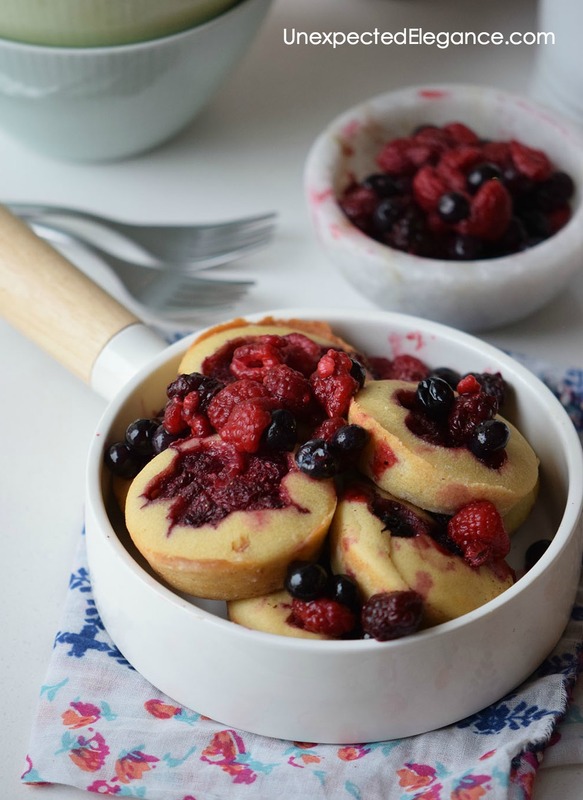 You can also check out this overnight Blueberry French Toast recipe…it’s delicious! !